The early morning sun shines bright giving a lovely sparkle to the raindrops that glisten on the leaves and flowers. It looks like a beautiful day and having nothing better to do, I decide to go for a walk. The fresh morning air lifts my spirits and I have a smile on my face without any particular reason. I walk down the xyst – the one that held so many memories. It seemed to me that I was walking down the memory lane. It was here that we first met. I still distinctly remember that day. Since then, it had become our routine to take a walk everyday and it was on one such walks, on a rainy evening that you’d proposed. Though I loved you, for a moment, I was surprised because I didn’t know how to respond. What started that day with that little “Yes” of mine was a beautiful journey whose every moment I still cherish for that is all I have now. From holding each other’s hand while walking down this path to holding our children’s hands while teaching them to walk, this was the place where it all happened. It doesn’t seem like a long time ago for the memories are still fresh in my mind. But then you left when I least expected. There was no time for goodbyes. You left me in pain with just memories in place of you. Life had been unfair but I couldn’t spend my time complaining. I had to hold myself together no matter how broken I was from within. The children had lost one parent, I couldn’t let them lose the other one too! There hasn’t been a moment when I didn’t miss you. Everything would have been so much better with you around. Time has passed and things have changed. The children have left home in search of their own destiny and now I’m left all alone. All of this makes me miss you all the more. That is why I walk along the xyst everyday, remembering memories so that I can hold on to them for as long as I can. While I’m lost in my reverie, I feel like I am being followed. I stop and I turn around to see if there is someone around. They run into my arms and hug me like they used to when they were little. “Surprise!!! Happy birthday, Ma!”, they scream! I’d forgotten that it was my birthday but this moment I’ll never forget. I knew you were watching. I just knew you were there. Such a beautiful word, no? i love this word. hearing the first time. you have used the prompt very beautiful. Love this word! Well done on getting a X! 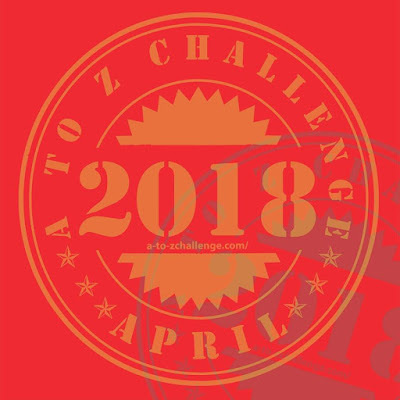 3rd last letter of the alphabet in the 2018 A to Z Blogging Challenge. X is for Xerosis. Beautiful, emotional story that blends so well with the word Xyst. Its one of the best “X” posts I have come across. You have the knack of spinning really nice stories. Enjoyed this one.